A new seminar not to be missed will take place during Printech Asia 2018. 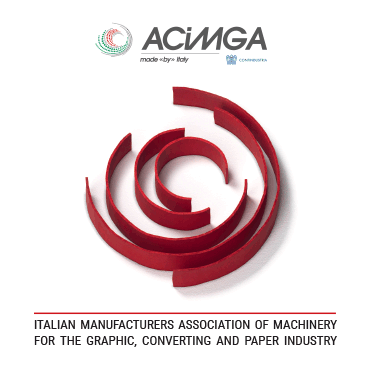 ACIMGA, the italian manfacturers association of machinery for the graphic, printing, converting and paper industry, together with 4IT Group and UTECO, company leader in solutions for any printing requirement, will discuss about the printing and converting market trends in south-east of Asia. It's online the 2017 Printech and Propak Asia post show report. Exhibitors can take advantage of the preferred rate by booking the stand by 31st October 2017! A special price for sqm is reserved for Companies who take the chance to be part of Printech now. ProPak Asia 2016 took place for its successful 24th edition, 15th to 18th June at Bangkok International Trade Exhibition Centre (BITEC), Thailand. ProPak Asia is Asia’s Number One international trade event for Food, Drink & Pharmaceutical Processing & Packaging Technology and once again delivered the Best-Ever and Biggest-Ever event breaking all previous records and receiving outstanding feedback from exhibitors and visitors alike.